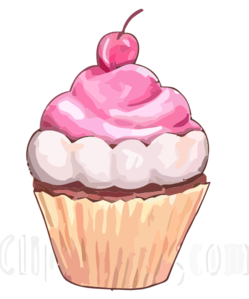 Free cupcake clip art, non copyright for use on web pages, cards, artwork etc. 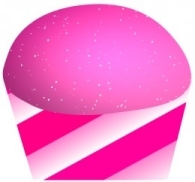 A selection of free Cupcake Clip Art cupcake images. These are non copyright, and in the public domain. So you can use this clipart however you wish....cards craftwork, web-pages etc. If using cupcake clipart on a web-page, then a link back to this site would be appreciated, but is not a requirement. Do you have clipart of cupcakes that you wish to share with others? If you do, then please contact all-about-cupcakes.com, and we will upload it to these pages, so it can be shared. 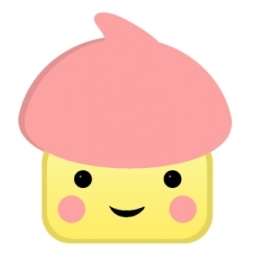 To download a cartoon cupcake all you have to do is right click on the desired image and click save image as and save to your desktop. Get Your Cupcake Questions Answered! Your FREE cupcake newsletter full of recipes and cupcake news. Click here to get your copy of Cupcake Corner. Copyright © 2008-2013 all-about-cupcakes.com. All rights reserved.